From the 5th of June until the 5th of July my pictures can be seen at the gallery of Cafe Frei, the cafe of Tamas Frei, a prominent person of the Hungarian media. Nagymegyer, a city of Csallóköz in Slovakia hosted 30 artists from the neighbouring EU countries between the 17 and 30 of July. 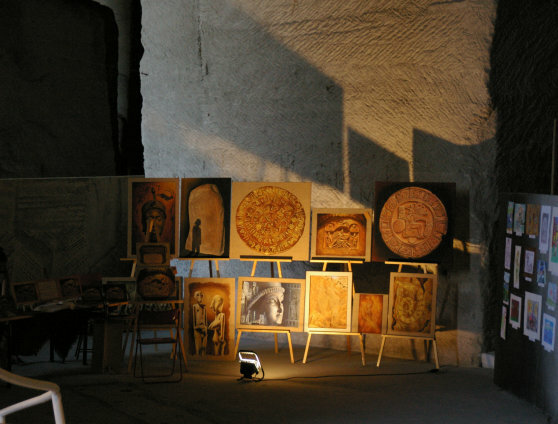 This Workshop of Fine Arts was sponsored by the local goverment and the local Kolping non-profit organization utilizing a successful EU tender and was also a charity: the income from the works sold during the Workshop will help the local orphanage, the paintings and graphics given as a gift by their authors will be the first artifacts of the city gallery.